The last main homestead era in Central Oregon occurred just after the turn of the century. Homesteaders streamed into the area, seeking to find their piece of heaven. It was not uncommon for single women to participate in this grand adventure. 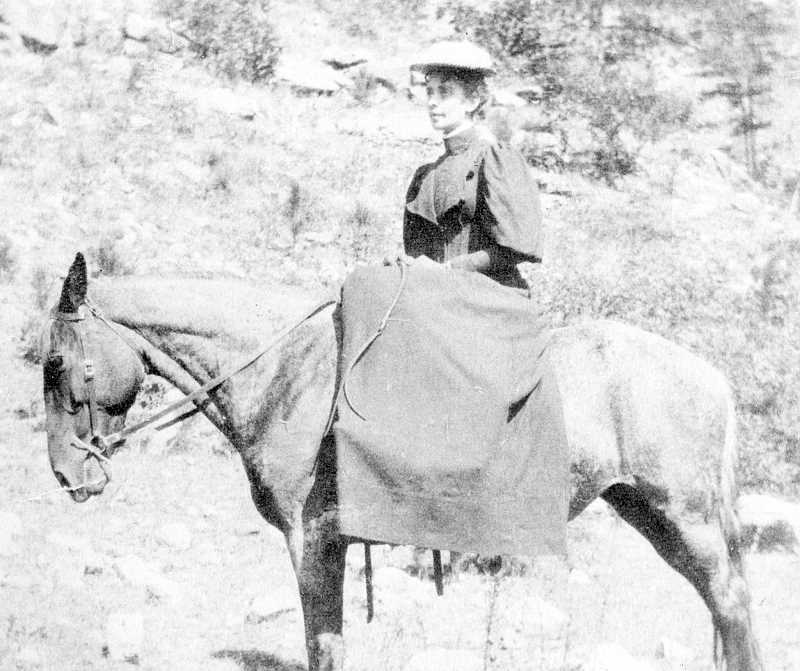 One of the women homesteaders was Alice Day Pratt. She came from the East and settled on her homestead site near Post on June 4, 1912. She was a tall, raw-boned woman of about 40 years of age. Her first home was a canvas tent spread under a large juniper tree. She had few possessions with her and slept on juniper boughs until she became more settled in. She began teaching school in the local area to help finance her meager homestead operation. Some local men residents tended to belittle her homestead efforts and make her feel unwelcome. However, she persevered by teaching school and raising chickens and selling eggs, and she also developed a small herd of jersey cows to sell milk and cream. She eventually built a homestead cabin when she could trade produce for lumber at a nearby sawmill. The hardship of the Great Depression resulted in Pratt having to sell her livestock and leaving her beloved homestead in 1931 and returning back East. She wrote two books on her homestead experiences and later wrote some children's books. Pratt died in 1963 at the age of 91. In one of her books, she states, "It may be well that one looks back upon the times of greatest strain and anxiety as the high points of a pilgrimage."